Limbaugh to oppose Bush over illegal immigration? Excerpt from the State of the Union Address: 'America's immigration system is also outdated.... It is time for an immigration policy that permits temporary guest workers to fill jobs Americans will not take....' Since when has the word 'guest' been defined as someone who enters the home of another without that person's permission? Don't we say, rather, that such a person is guilty of criminal trespass? Online petition to Congress against all forms of amnesty for illegal immigrants. Russian spies: Retuning--or never left? Gun control backdoored as a breakthrough in forensic science? Ballyhooed as a crime-fighting aid for law enforcement, ballistic fingerprinting is increasingly shown as flawed. Author John Lott writes: "The recording of a child's fingerprints or DNA still allows for identification much later in life; the same is not true of the bullet markings. 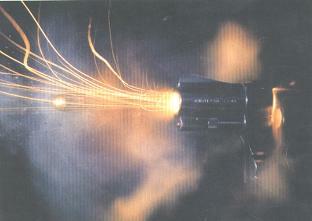 A ballistic fingerprint is less like a human fingerprint than it is like the tread on a car tire." Ballistic fingerprinting was all the rage just a couple of years ago. Maryland and New York were leading the way where a computer database would record the markings made on the bullets from all new guns. The days of criminals using guns were numbered. Yet, a recent report by the Maryland State Police's forensic-sciences division shows that the systems in both states have been expensive failures. New York is spending $4 million per year. Maryland has spent a total of $2.6 million, about $60 per gun sold. But in the over four years that the systems have been in effect neither has solved a single crime. To put it bluntly, the program "does not aid in the mission statement of the Department of State Police." How reliable Is ballistic fingerprinting? What's the meaning of 'freedom'? John Paul II now a mere figurehead? 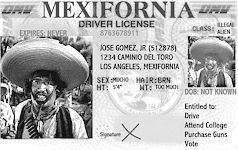 NATIONAL ID CARDS EDGING CLOSER IN US? Study raises alarm about 1st Amendment, but what about 2nd?